Get a wind mitigation Inspection to help you save money. Providing wind mitigation inspections for homes in Cape Cape Coral, Fort Myers, Naples, Lehigh Acres and Sanibel. Why do you need a Cape Coral wind mitigation inspection? and so you can take steps to help protect you and your home from high wind damage. going up and up and up. With the hurricanes that have made landfall in Florida over the past few years, insurers have raised their prices to unbearable prices. A wind mitigation inspection is a close inspection of your home that may reduce your insurance premiums. This is a very useful service, and one that will pay for itself in a very short amount of time. Schedule your Cape Coral wind mitigation inspection today with Tru-Check Home Inspections. Licensed wind mitigation inspector servicing Lee County and Collier County including Cape Coral, Fort Myers, Naples, Lehigh Acres, Sanibel, Captiva and the surrounding area. The Florida State LAW 627.711 F.S. requires insurance companies to notify homeowners of premium discounts for hurricane loss mitigation and establishes a uniform mitigation verification inspection form. Want to know more about wind mitigation? Click here!!! A Cape Coral Wind Mitigation Inspection checks various components of your home. Get a thorough inspection with Tru-Check Home Inspection. 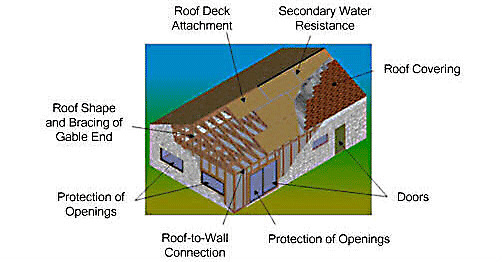 techniques on properties to reduce the amount of loss in a windstorm. A wind mitigation inspector will check to see if your home already has any of wind mitigation techniques already installed. The inspector will also inform you of steps that can be taken to help reduce the amount of wind damage. The State of Florida requires home insurance companies to offer discounts for protecting your home against damage caused by tropical storm or hurricane winds. 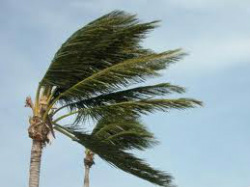 Preparing your home for wind loss mitigation can often help reduce your insurance premiums and save you money. discounts? As a homeowner, you will need a qualified inspector to inspect your home to identify potential measure and verify that your improvements have been completed. In addition, a wind mitigation inspection will identify mitigation methods that may already be installed on your property. Two of the most cost effective wind mitigation measures involve securing your roof so it does not blow off and protecting your windows from flying debris. you can take to help protect your home from wind damage. CALCULATE YOUR HOME OWNER INSURANCE CLICK HERE! Bonita Springs, Naples, Sanibel and Captiva Florida. Services we offer: Home inspection, Wind Mitigation, 4 point insurance inspection, Roof Inspection and FREE Infrared Thermal Imaging with every home inspection that we do.